The LG V10, a new line of flagships introduced this year by the Korean manufacturer, is a lovely, although extremely large, phone. LG likely introduced this new V line because it needed an extra push towards the end of the year, as their G line just hasn’t cut it over the past couple of years. And look, it only makes sense, since others do it as well, including their major competitor, Samsung. Is the LG V10 worth buying? Of course it is. In our review, we came away surprisingly delighted by its unique set of features, build, use of new materials, and performance. If for some reason you had not had a chance to read that review yet, or simply want the abbreviated version, we have that for you today. 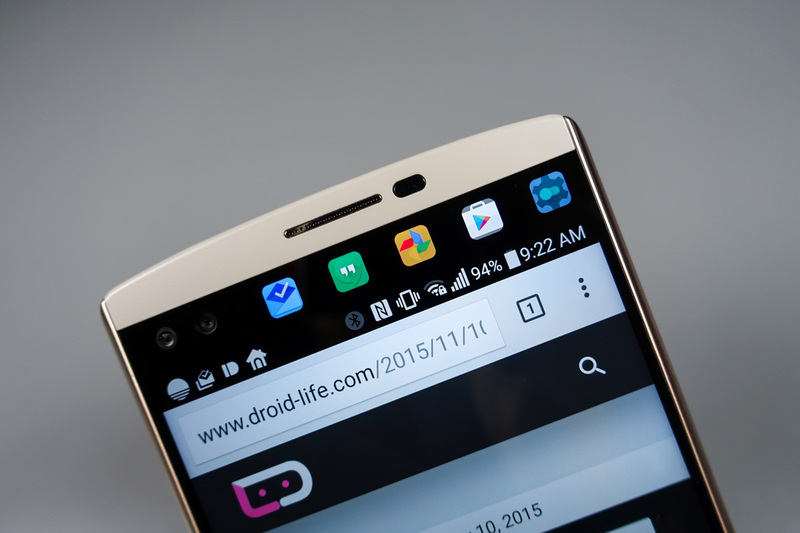 Here are 5 reasons the LG V10 is worth buying. 1. That big, beautiful bundle of pixels. The 5.7-inch QHD LCD display on the LG V10 is gorgeous and a joy to use, especially when consuming media. At 5.7-inches, it’s large, but that’s almost what makes it so great. You can take in a video or game and feel like you have a small, insanely high-resolution TV in your hand. It has great viewing angles as well, reproduces colors without offending your eyes, and gets plenty bright too. 2. This design is different, and different is good. 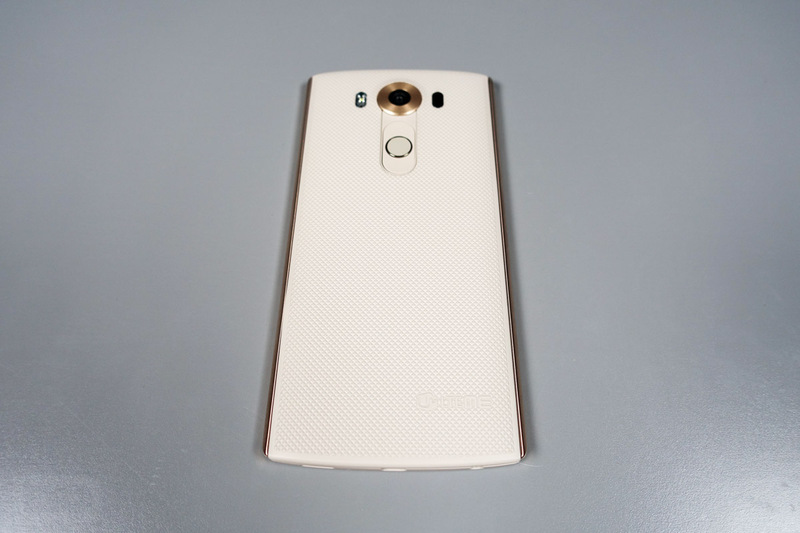 When I first saw the LG V10, I thought it was about the ugliest phone I’d ever seen. With its mixture of random colors and textures and metals and secondary displays, I just sat there shaking my head at LG after first setting my eyes on it. Then, I got it in hand in the cream and gold colorway and fell in love. It’s just so different from any other phone that you can’t help but appreciate it. LG used steel bars up its sides to add strength to the V10’s frame. They also double as an opportunity to add some color flair. The rest of the body is covered in a Dura Skin texture that is both inviting to the touch and strong enough to give you a feeling of safety. The headphone jack sits at the bottom where it should be on all phones, the camera housing adds a nice circular touch of class, and the phone is thin enough, yet balances nicely in hand. This is a well-made phone – probably LG’s best in terms of overall quality. 3. Removable batteries and microSD cards. If you bought a phone within the past two years, it probably doesn’t have a removable battery or a microSD card slot. Companies were at one time moving away from them because Google wanted to with Android, but now, most are doing it because they want to increase their margins by forcing storage hogs into spending more on phones with more storage. LG isn’t doing that. The V10 has both a removable battery and a microSD slot that holds up to 2TB cards. While the battery and its 3000mAh capacity is enough to get you through from morning to night, should you have that extra heavy usage day, you can always swap in a fresh battery if needed. Oh, LG is also on its second promotion where they will give you a free SD card, battery, and battery charger if you buy the phone. Not a bad deal. 4. Performance is buttery smooth. 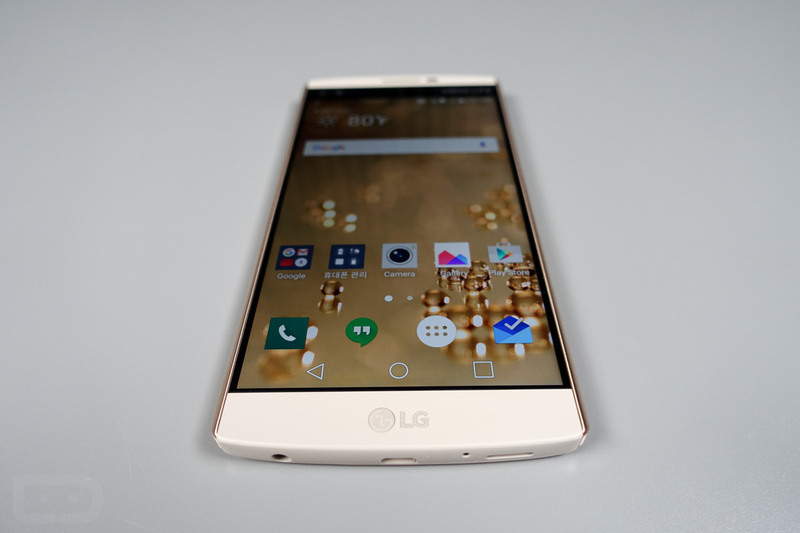 When I first started reviewing the LG V10, I was nervous about the phone’s performance. It runs a Snapdragon 808, a processor that hasn’t exactly shown itself as performance king in most of the phones that adopted it over the more powerful Snapdragon 810. But after putting the phone through the app-switching, multi-tasking madness that I do when reviewing, I came away quite impressed. LG has fine-tuned this phone so that it runs refreshingly smooth. Sure, the LG skin isn’t my favorite thing, but you should be able to whip in and out of apps and games and calendar appointmentss and emails and calls without a hiccup. 5. A secondary display with useful features. The V10 has a secondary display situated at the top of the phone, just above the primary 5.7-inch display. Most would be quick to dismiss this like we have all done with every other attempt at a secondary display over the years, but this one actually has some useful features. If you aren’t interested in using it for quickly switching to your favorite or recently used apps, accessing your favorite contacts, or controlling music, I think you may find use it the display when you aren’t using the phone. During my time with the V10, I used the secondary display as an always-on clock when the phone was sitting on my desk. I also loved having it there as a bed-time clock, where I didn’t need to turn the phone on to see the time, to see notifications pending without having to touch a thing, and to turn off some settings like WiFi or to toggle the flashlight on or off. Sometimes with a phone, it’s the little software or hardware tweaks that can really enhance a phone to purchase-worthy territory. The V10’s secondary display does just that. 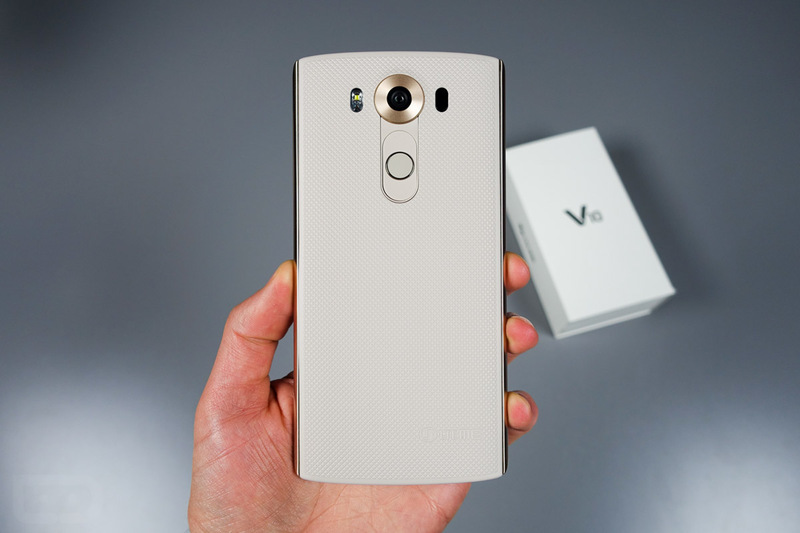 So there you have it, 5 simple reasons why the LG V10 is worth buying. You can buy the LG V10 at carriers like Verizon, AT&T, and T-Mobile.